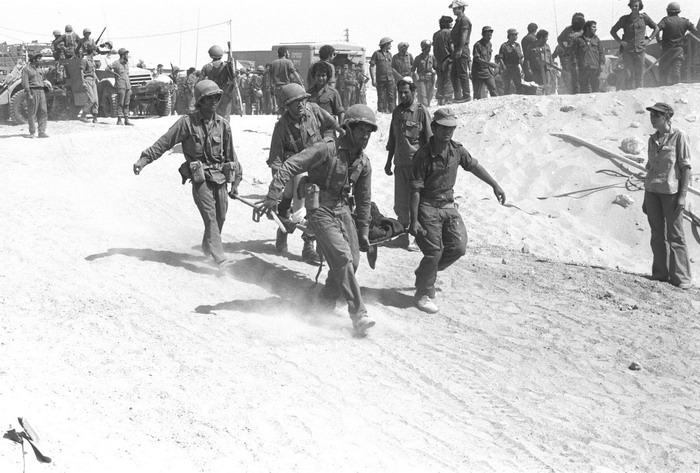 Tomorrow is the 40th anniversary of the Yom Kippur War, a surprise attack on two major fronts on the holiest day of the Jewish year. Here’s a two-prayer liturgy of hope and honor. The first is for the safety of soldiers currently serving in the IDF, including a memorial to Israeli soldiers of the past and a recognition that Israel will need heroes for the future. It’s an adaptation of a prayer I wrote during Operation Pillar of Defense for safety of Israeli soldiers. The second is a prayer for all soldiers and veterans, envisioning a time when, with G-d’s blessings, we will no longer need soldiers to defend our freedom. Click here for more prayers and meditations about Israel. © 2011-2012 Alden Solovy and www.tobendlight.com. All rights reserved.